Scientists have long dismissed “phage therapy” as a fringe idea pushed by eccentrics who enjoy fishing in sewage. But now the Navy is betting on it. Two days after walking through the pyramids, Tom Patterson got very sick. The psychiatry professor was in Egypt with his wife on one of their many adventurous vacations away from life in California. One minute he was fine, hamming it up in a touristy horse-and-buggy ride across the desert. The next, he couldn’t stop sweating and vomiting. The 300-pound 68-year-old was airlifted from a clinic in Cairo to one in Frankfurt and then finally back to San Diego, where doctors confirmed a severe infection in his abdomen. The culprit was a bacteria called Acinetobacter baumannii, the notorious “Iraqibacter” that emerged in military medical facilities during the Iraq War. It now tops the international list of dangerous superbugs that don’t respond to most antibiotics. Some Iraqibacter cases improve with a very old, last-resort antibiotic called colistin. But it didn’t work on Tom. The infection soon spread to Tom’s blood and lungs. For months he was in a San Diego ICU bed in excruciating pain, often hallucinating, falling in and out of a coma. By late February of 2016, his doctors said they were out of options. Tom’s wife, Steffanie Strathdee, is the director of UC San Diego’s Global Health Institute, and one of the world’s experts on how HIV spreads across the world. She deeply understood how superbugs, left unchecked, would kill millions of people — including, suddenly, her husband. Sitting in the hospital room, she turned to Tom. “Honey, the antibiotics aren’t working,” she recalled saying. “I need to know from you if you want to keep fighting, because I don’t want to keep you alive just for me. Squeeze my hand if you want me to push ahead.” He squeezed. Over the next seven months, Steffanie went on a remarkable medical quest, and one that might not have been possible if not for her unique position in the upper echelon of academic science. She gained access to a century-old treatment — “phage therapy” — in which a patient gets custom-made viruses to kill their festering infection. And she and her colleagues found these viruses, called phages, in a surprising place: a heavily guarded Maryland lab run by the US Navy. This is strange, not least because mainstream scientists have long dismissed phage therapy as a fringe idea pushed by eccentrics who enjoy fishing in sewage (where many phages live). 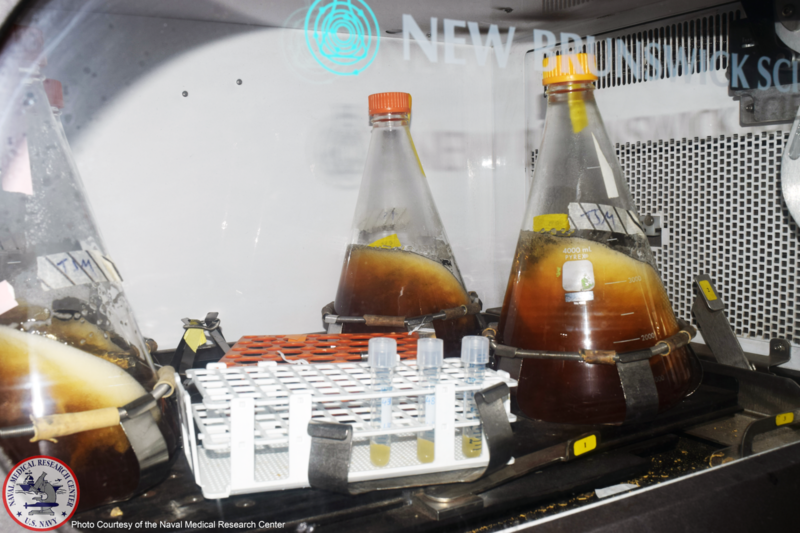 But over the past 15 years, as more and more bacteria have evolved ways to evade our antibiotic arsenal, Navy scientists have turned to phages as a last line of defense. A run-of-the-mill freezer in the Maryland lab holds what’s one of the world’s largest phage libraries: more than 300 viruses, collected on ship-based laboratories all over the world. None of the phages had ever been tested in an infected person — until Tom. “This has never been done anywhere in the country until this case,” said Lieutenant Commander Theron Hamilton, head of genomics and bioinformatics at the Biological Defense Research Directorate of the Naval Medical Research Center. Last week, his team presented Tom’s case at a phage conference at the Institute Pasteur in Paris. But while the scientists in Paris celebrated the 100-year anniversary of the discovery of phages, these biological weapons are nearly impossible to get to patients in the US. Using nature’s own viruses to treat infections doesn’t jive with the FDA’s process for approving new pharmaceuticals, nor Big Pharma’s motive to sell one-size-fits-all pills for the masses. The day after her dying husband squeezed her hand, Steffanie talked to a colleague whose friend had contracted a similar antibiotic-resistant infection. In a desperate search for a treatment, this friend of a friend had flown all the way to the Eastern European country of Georgia to try phage therapy. It had worked. Steffanie, who has a degree in microbiology, knew what phages were but had never heard about using them on people. After digging through the papers in English on the treatment, she found just a handful of case reports of patients trying phages in US hospitals, or who had found a way to order them from Georgia. But these were extraordinary cases. Phages are the most diverse and numerous life forms on earth — millions of them coat our skin, live inside our guts, and flow through our faucets. They’re completely harmless to us, but deadly to bacteria. And unlike antibiotics — which wipe out broad swaths of bacteria, even species that are beneficial to us — phages have specific targets. A phage injects its DNA into its prey, which then replicates rapidly before rupturing and killing the cell, releasing even more viruses to repeat the attack. “It’s the only medicine that grows,” Ryland Young, head of the Center for Phage Technology at Texas A&M University, told BuzzFeed News. Phage therapy blossomed in Eastern Europe after World War II, largely because researchers there were blocked from developing the mass-produced antibiotics sweeping the West. To this day, clinics in Georgia offer phage therapy “cocktails” alongside antibiotics as a standard treatment for fighting against bacterial infections. Meanwhile, the 130 different antibiotics prescribed every day in the US are slowly but surely losing the war against bacteria. Six superbugs in particular, known as the “ESKAPE” pathogens, have emerged as the biggest threats to human health, infecting at least 2 million Americans every year, and killing at least 23,000. Tom’s bacteria, Acinetobacter baumannii, is the “A” in “ESKAPE.” But Steffanie was determined not to let her husband become one of those statistics. Her first call was to the head of the infectious disease unit at UC San Diego, Chip Schooley. “I said, ‘Hey Chip, I think we’re running out of options. What about phage therapy? I know it sounds a little woo-woo, but I think it may be our only shot,’" she recalled. But he was quickly convinced that phages were probably Tom’s only option. He agreed to call the FDA and see whether the agency would allow him to give Tom phages as a “compassionate use,” meaning an experimental treatment that does not have to abide by normal drug regulations. But first, Steffanie needed to find someone who had phages that matched Tom’s specific infection. She found Ry Young at Texas A&M, one of the few biologists in the US who’s trying to understand how phages work. Steffanie sent him a long email about Tom’s story, with a photo of Tom in his hospital bed. Young gets these sorts of desperate emails a lot, and typically gives an apologetic canned response. But when he heard from Steffanie, he decided that she was knowledgeable and connected enough that phage therapy could actually save her husband. They ended up talking on the phone for two hours, and Young agreed to help. 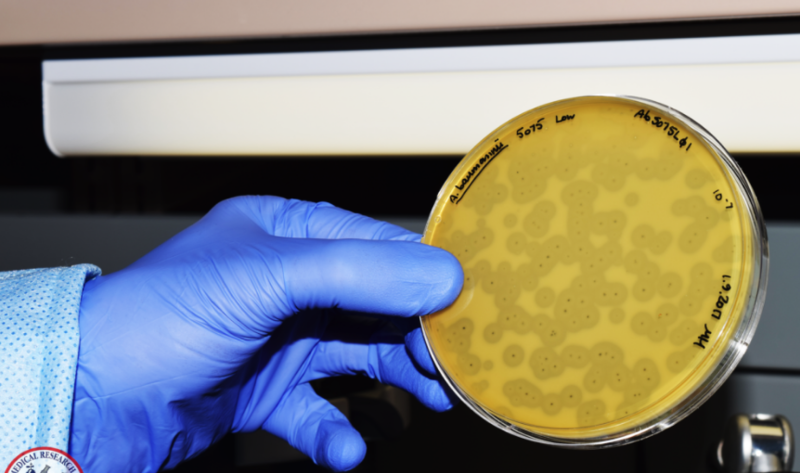 Steffanie sent Young a sample of Tom’s superbug, and Young immediately began testing it against the small library of phages his Texas team had amassed. None worked. “So I did two things: I emailed and phoned everybody that I knew in the world that had research programs with baumannii phages,” Young said. He called researchers in India, Australia, and Europe, and at a small company in San Diego. Within a couple weeks, he received roughly 45 phages from around the world. Then he went on what he calls a “good old-fashioned phage hunt” — collecting samples from sewage plants in Texas and isolating nearly 100 other phages that might work for Tom. The FDA, meanwhile, got back to Schooley. They told him they’d be willing to let Tom undergo phage therapy, as long as the final product was totally purified. They also gave him a new contact they thought might be helpful: the country’s largest phage collection, at the Navy lab. For years, the Navy had only tested its phages in mice. When Hamilton came on as the director in 2015, he was encouraged to shut down the phage research arm, which he was told was a “financial hole.” Instead, he decided to finally test their phages in people. On March 15 of last year, Schooley received a FedEx package containing styrofoam coolers of purified phage cocktails from Young’s lab, marked with a “biohazard” sticker. That same day, the FDA officially signed off on the experimental treatment. There was no time to lose: Tom’s kidneys were failing and Steffanie had just signed his dialysis papers. "The day the first batch of phages came to Tom’s bedside, the lead pharmacist brought them as if he was the ringbearer at the wedding ceremony,” Steffanie said. “It was surreal looking at this — a royal procession of some kind." Schooley pumped those phages through tubes in Tom’s stomach, aimed at the original site of his infection. Two days later, the Navy’s more potent phages arrived. For these, the doctors used a more extreme approach, injecting the viruses straight into Tom’s bloodstream — a method that, to their knowledge, had never been done in the US. The next day, Tom went into septic shock. "Everybody thought we'd killed him," Steffanie said, and they quickly turned off the phage infusions. But as it turned out, the shock was caused by a different kind of bacteria. So, two days later, they resumed the phage therapy. “It was just a roller coaster,” she said. Not long after that, Tom opened his eyes for the first time in weeks, and recognized his daughter standing by the hospital bed. A month later, Tom went outside for the first time, in a wheelchair. He had stopped using a ventilator, began talking, and played gin rummy with his daughter. But the battle wasn’t over. Around the same time, the Iraqibacter became resistant to the phages, and Tom’s health began to sharply decline, yet again. Schooley sent a sample of the mutated bacteria back to the Navy. Hamilton’s team screened their phage library again, and sent back a new, tailor-made cocktail to attack the new phase of Tom’s infection. In August, nine months after Tom left Egypt, he finally left the hospital and went home. Tom’s case is spurring action in the Navy’s financially stagnant program for phage therapy. 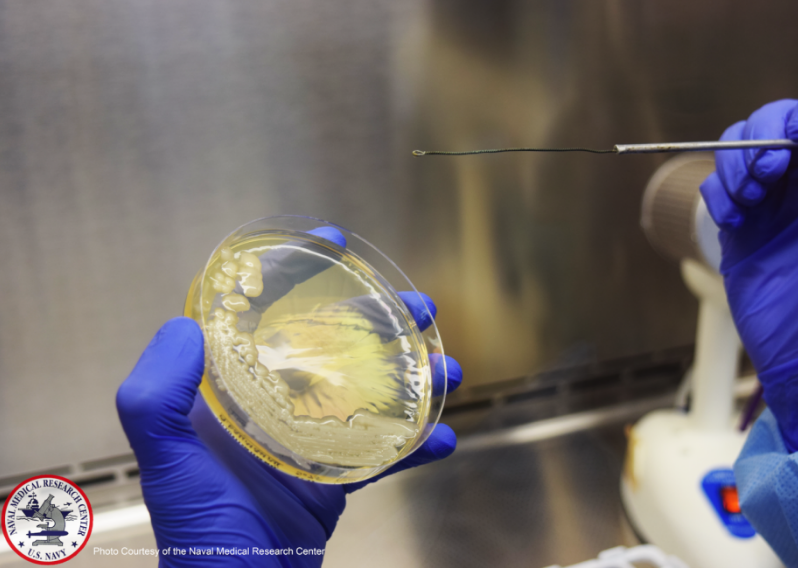 Hamilton's team has funding to genetically sequence each of the 300 phages in their library, the first step towards getting the FDA to approve a formal clinical trial. Once the researchers screen the phages to make sure they don’t contain genes for toxins or antibiotic resistance, they will start big clinical trials in people. Hamilton hopes the trials, which they’re planning to do this summer in collaboration with a private company called Adaptive Phage Therapeutics, will produce enough data to take the phages to market. Although the treatments will initially be for the US military, the company could commercialize them. Hamilton hopes that the FDA will allow it to bypass one of the main hurdles now facing phage therapy in the US: Each custom-made phage cocktail would need to be approved as its own drug, a stringent process that would make phage therapy all but impossible, Hamilton said. If the FDA instead approved the whole library, then researchers could make personalized cocktails for each patient without requiring approval each time. “If every phage is considered a new drug, there will never be a phage therapy industry,” Young said. But, Hamilton acknowledges, making this change would be a “paradigm shift” for the FDA, and it has yet to publicly signal that it’s something it would even consider. The agency declined to comment for this story. Steffanie will be a coauthor, along with Hamilton, Schooley, and Young, on a forthcoming scientific paper about Tom’s phage therapy experience, and she and Tom are working on a book.